I have a major presentation due on Wednesday. I will be presenting the finer details of the Ruby language to my classmates. Unfortunately, since it’s a programming language class, a short rundown of Ruby syntax will not suffice. There is also the formal “spec document” that I have to write as well. This, of course, means that I am in full-blown procrastination mode. I have added a bunch of my artwork to Flickr (as well as organizing sets and creating two new collections). I’ve also posted several photos of my final “Doodle Board” piece. I wrote about it when I was still working on the piece, but have been entirely negligent about posting the final version. 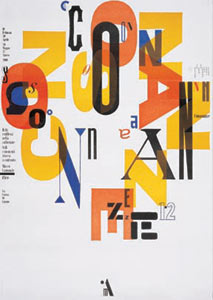 Since I didn’t see Bruno Monguzzi’s work included in the Flickr set of Swiss Design History, here’s a link a different set of his work. 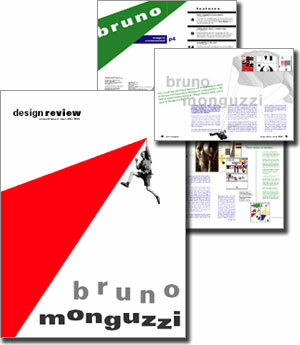 I have a special affection for “Bruno” because I spent quite a bit of time on projects commemorating his work during design school. Ah Bruno…those were the days. 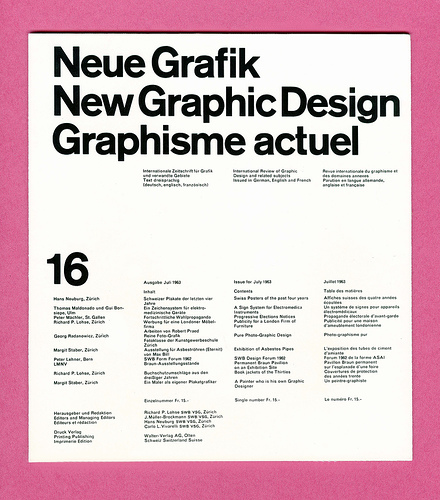 Boy do I love those Swiss designers. I didn’t see any of Bruno Monguzzi’s work in this set though. A neato typographic map of London. Designer Eddie Jabbour has redesigned (unofficially) the subway maps for New York City. The new designs focus on ease of use and simplicity. Most importantly, they shows how very unimportant accurate representations of geography are for things like subway maps. The differences between the current official NYC map and Jabbour’s maps are striking. It’s most apparent when viewing the entire subway system at once. I think that Jabbour’s designs are just plain pretty. Being not quite so familiar with NYC, Jabbour’s designs make me feel somewhat warm and fuzzy at the thought of riding the subway. This is a distinctly different feeling than the one I had the last time I was in NYC looking at a subway map to figure out how to get from Queens to Manhattan, and then around Manhattan. There is an interesting article on 37signals about Jabbour’s designs and his intentional distortion of geography to simplify the map of the subway system. The 37signal article uses the London Underground as an example of where this strategy has been used before. 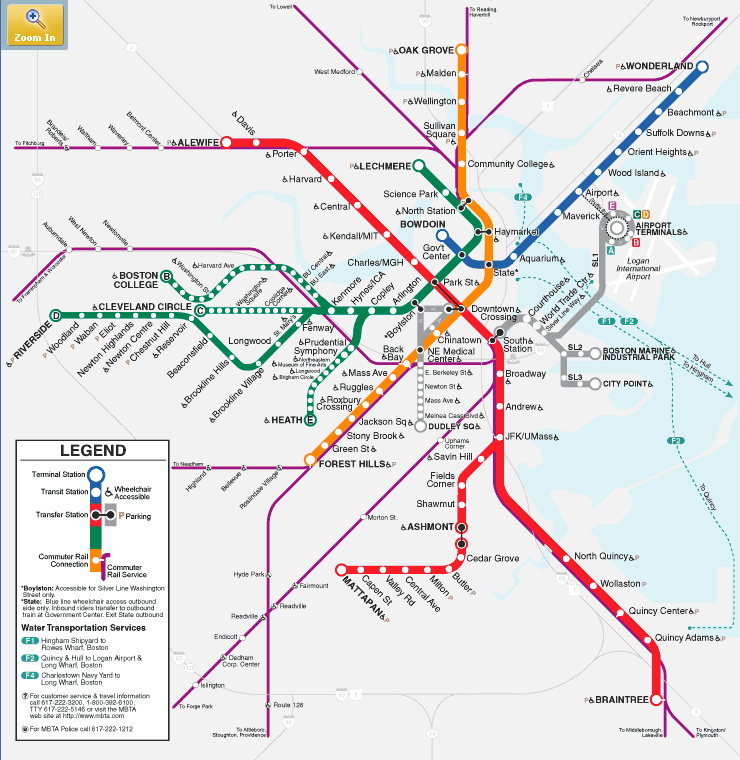 Of course, since I live in Boston, I was immediately thinking of the MBTA maps. I think I lived in Boston for about a year before I realized how not geographically accurate those maps were. There’s some more brief commentary on Kottke as well.